Animal Jubilee Collection by PKaufmann. 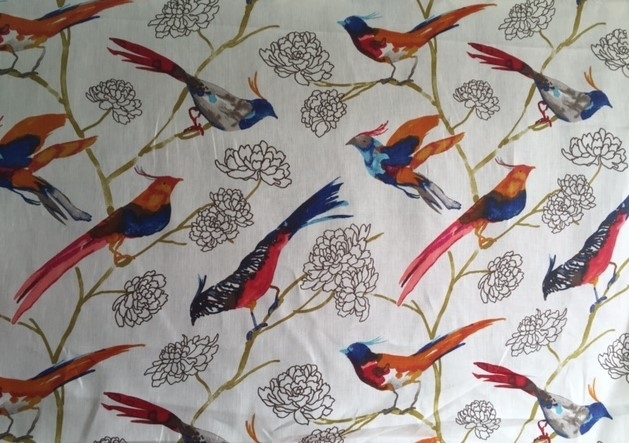 This fabric features large colorful birds in a watercolor motif screen print on a rich linen material with a soil and stain repellent finish. 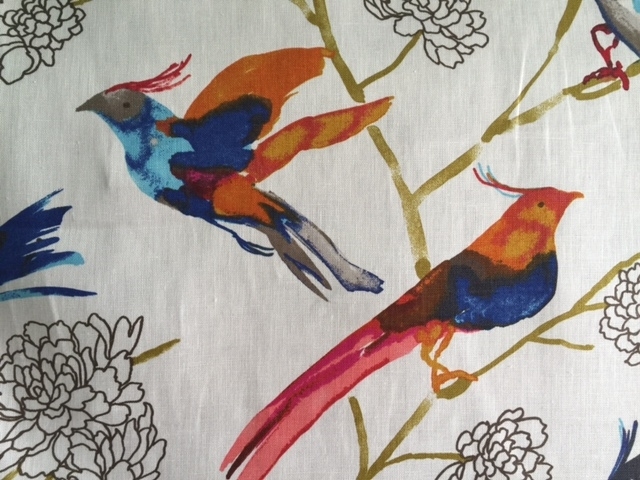 Pkaufmann fabrics are best known for the rich colors in solids and prints. Note About the Fabric: this fabric are crafted to stand up to abrasion and tension to bring durable and long lasting beauty to a home or office. Application: window treatments, drapery, headboards and bedding, pillows, cushion, sligcovers, upholstery, tote bags. Easy to Sew - use nylon thread, coats extra strong, use #16 needle.